When the world-weary dandy Eugene Onegin moves from St Petersburg to take up residence in the country estate he has inherited, he strikes up an unlikely friendship with his neighbour, the poet Vladimir Lensky. Coldly rejecting the amorous advances of Tatyana and cynically courting her sister Olga - Lensky's fiancee - Onegin finds himself dragged into a tragedy of his own making. 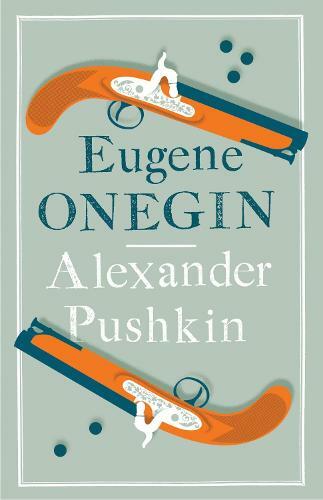 Eugene Onegin - presented here in a sparkling translation by Roger Clarke, along with extensive notes and commentary - was the founding text of modern Russian literature, marking a clean break from the high-flown classical style of its predecessors and introducing the quintessentially Russian hero and heroine, which would remain the archetypes for novelists throughout the nineteenth century. A thoroughly enjoyable read especially for poetry lovers (seeing as it is one giant poem!) and anyone who likes their novels filled with love and tradgedy...and plenty of dandies!